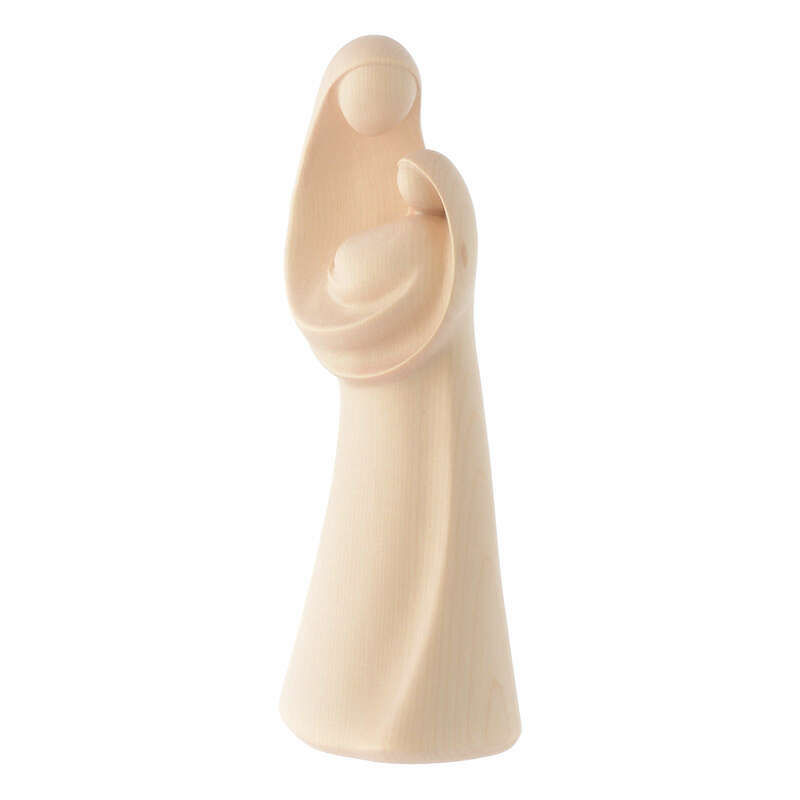 Our Lady, modern style in natural Valgardena wood. Hand made and hand painted figurine by the Val Gardena artisans. 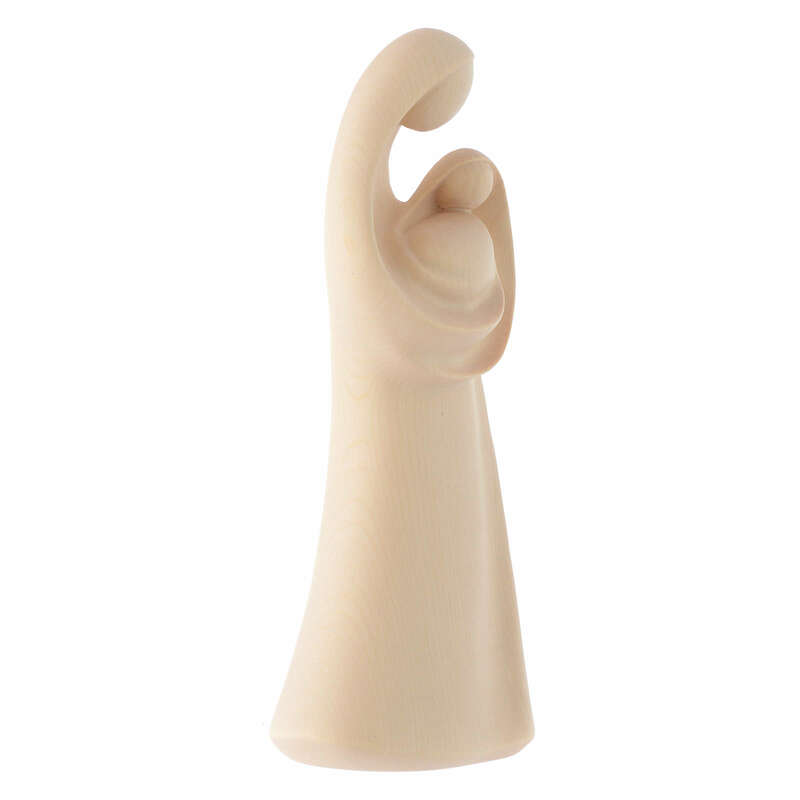 This sculpture is made by an Italian company of craftsmen who have been carving wood since 1892. Many people impassioned about art visit the Val Gardena area and the company. The art and trade of wood carving is passed on from generation to generation. This composition is made out of maple up to 40cm of height and in lime wood from 60cm and bigger.